Omnibus Health Regulation Amendment Act of 2013 established DC Code 3-1209.08 with an effective date of March 26, 2014. In Florida in 2009, a proposed law regarding personal-trainer preparation would have placed regulation of personal-training and fitness professions under the auspices of the Board of Athletic Trainers, which was specifically created to regulate the allied health-care profession “athletic trainer,” not fitness professionals. The bill, SB 984, was unsuccessful and was revised, modified and resubmitted as SB 1616 in March 2013 to remove the oversight by the Board of Athletic Trainers through the creation of the state Board of Personal Training. Although SB 1616 died in committee, the concept of statutory regulation of personal trainers has persisted in some form in the Florida legislature for over five years. 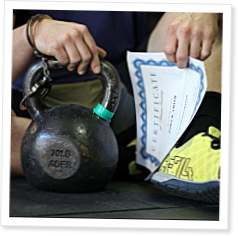 More than half a dozen other states have considered statutory regulation of personal trainers in the past decade under the guise of protection of the public, so it’s important to examine what such regulation proposes and how it might affect our businesses. Proponents of regulation fail to recognize the barriers to linking personal training to health care and third-party insurance payments. Lon Kilgore examines the potential negative effects of licensing on the fitness industry—and those it serves. Lon Kilgore advises fitness professionals to work only within the scope of practice dictated by their education.